Image of the Week #32: "Now That The War Is Over--"
Though World War II more well-known for the mobilization of women, there was a clear and sincere effort to mobilize women into the workforce and to support the war in many direct and indirect ways in World War I--it certainly contributed to the passing of the 19th Amendment. However, I see ads like this and it strikes me of how little the culture thought of women. 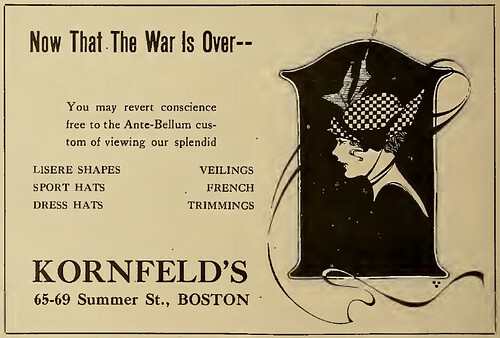 The ad seems to say that now that the war is over, women should return to re-presenting themselves as objects, not subjects.